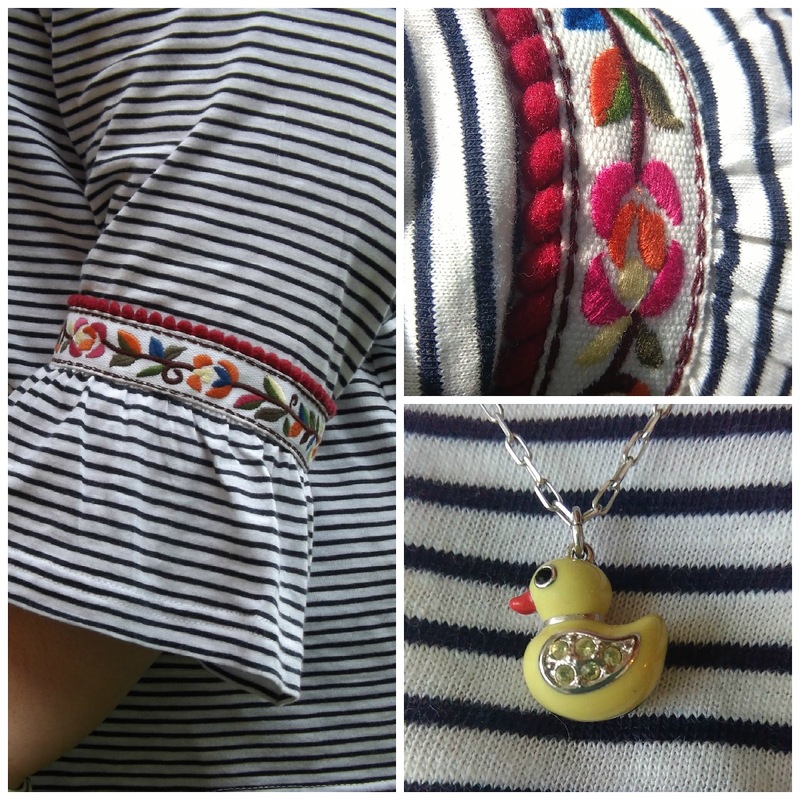 Looking through my wardrobe the other day, I realised just how many striped tops I have - and just how few floral items there are. I really seem to have fallen out of love with floral, which is a shame considering how much there is around at the moment (typical, if something is on trend, I go seem to go off it). However, this top from Marks and Spencer is a bit of an exception, lots of stripes (yay) and tiny bit of floral detailing on the arms. Plus it has bell sleeves which is something I love the look of on other people, but always wondered just how annoying it would be in real life. I sized up a couple of sizes here. The embroidered band on the arms sat right on the elbow joint on the smaller sizes which felt uncomfortable - but on larger sizes, it sits nearer the wrist. I really don't mind though as I like the loose, casual fit. The verdict? I really liked the bell sleeves, but I think they're about as large as I'd go. Anything more flouncy I think would drive me mad! Plus the embroidery...let's just say it's growing on me.